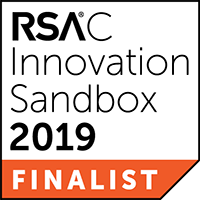 Put another way, the RSA Innovation Sandbox Contest is a big deal. Over 70 cybersecurity startups submit, and 10 are selected to give their best 3-minute presentation to judges chosen for their wide-ranging expertise in cybersecurity. One is chosen as the winner. I have to be honest: I’m really proud of this accomplishment. Our engineering team is incredible, building a product that is able to connect to 100 management and security solutions to aggregate information about assets and users and determine adherence to our customers’ security policies. We would love to meet with security teams that are interested in getting a credible asset inventory to automatically enforce their security policies while we’re at RSA. If you’re headed to the show and would like to meet, please let us know here. Finally, here’s our video submission for the innovation sandbox contest. I think it does a good job of showing the problem we solve and how we do it. Planning on attending this year's RSA Conference? If you'd like to meet outside of the show, let us know here and we'll schedule a time to meet. Or if you'd like to have a demo of the product, let us know...we don't have to wait until RSA!